Because they are fun and everyone wants one, or two, or more. 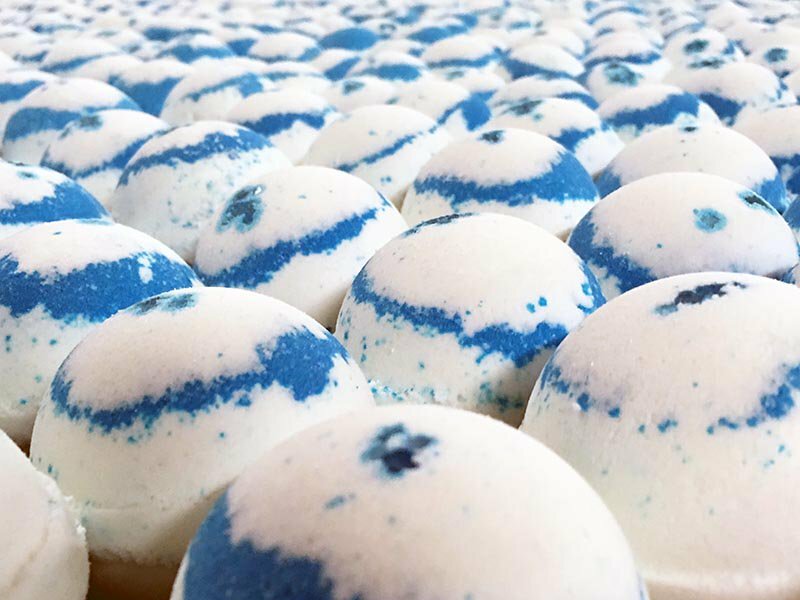 Seasonal items like our new Freedom Bath Bomb are a great way to get new customers. Go here for our new selections. The fall will be here before you know it. Start getting ready now with a complete line of fall bath and body products and you will be way ahead of the competition. Comment below on your favorite summer and fall scents. Seth Godin said “there was not one single act of genius” in an interview with Tom Bilyeu that you can find here. He was describing the act of developing a book series that was designed to get 12 year old boys interested in reading. We had a visitor the other day to our soap workshop who was completely impressed with the systems we had set up to run our soap and bath bomb production. Looking around I said to him, these processes were mostly an invention of necessity that had been implemented over time to address impediments to work flow. Basic problem solving. Seeing the end result of 12 years worth of work can look impressive, but the real story is the day to day grind that has made this end result. At the beginning of each year we do an audit to see which fragrance was our largest purchase during the previous year. Traditionally it dad been either lavender or vanilla. To our surprise this year it was orange. It wasn’t even close. Please lave a comment below and let us know which fragrance is your most popular and you will be entered into our weekly drawing. This our orange aloe scrub soap loaf. The idea of a perfect product is the very idea that makes most of us freeze in our tracks and leave projects unfinished. If you start with idea that first iteration of any project is going to be shipped while only 80% perfected you have overcome the the biggest obstacle to getting started. This will alway be your biggest challenge when starting out. One of the biggest mistakes newbie soap makers make is trying keep every potential customer happy. 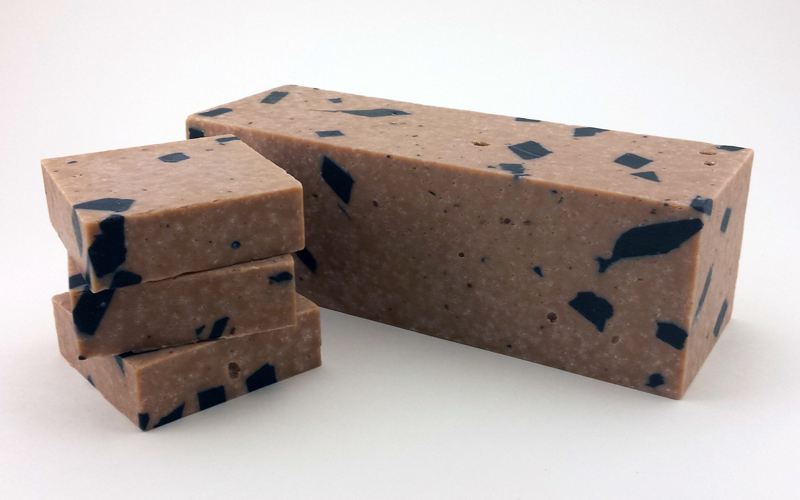 Every weekend there will be a potential customer that asks for a soap that you do not make. 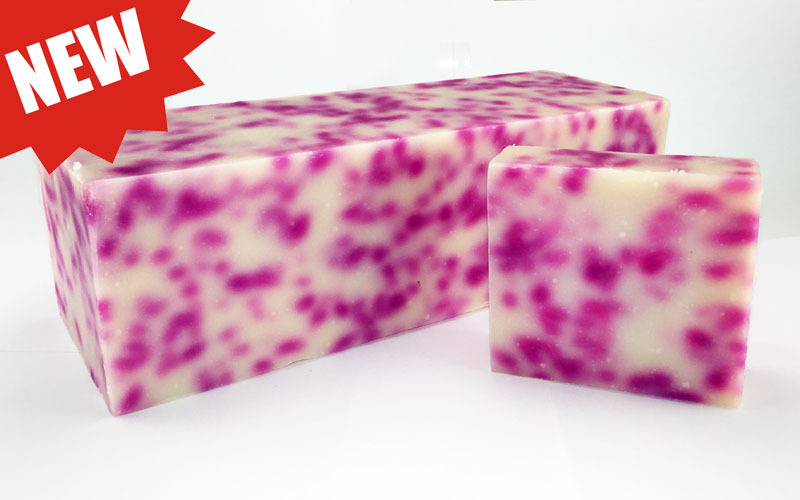 You will be tempted to make this soap during the week. Then you never see that prospect again and your stuck with a soap no one else wants. Keep a pad with you during sales weekends and track all requests. Once an item appears three times on your list, then, and only then do some extra surveying of customers to gauge demand for that item. Try and get some pre-orders before you make it. The promote it on your table or in your store. With-in a couple of weeks you should have your answer. Remember, be slow to add items, but once added promote them heavily to determine future demand. Good Luck!! Why Do Your Biggest Customers Hurt so Bad? If you have only one customer, are you really self employed? If you have 100 customers would you be more comfortable if one of those customers changed vendors than if you had just ten customers. The biggest issue with large customers is they want you to change your business to suit them. Then you find that doesn’t work for the rest of your customers and now you have essentially created two(or more) businesses to suit your largest customer. Be very wary of doing too much custom work, as custom customers expect custom work at commodity pricing. Pictured above is a beautiful Dead Sea Mud soap loaf that we have requests for different custom looks and recipes all of the time. So far we have resisted and it continues to be a top seller for us. Is this self serving? You bet. Bath and body products make amazing gift baskets. Give something that is different from every other Easter Gift Set out there. Bath bombs, bath salts, soaps and lotion make quality gifts that will be remembered well after Easter and can help grow awareness of your everyday offerings. Quality, quality, quality will always make the difference. Use the finest items you can find direct from the manufacturer. Also look for end run items at your local dollar store or from merchandise liquidators. Good Luck. Find a recipe that works and stick with it. That is my advice to beginners making handmade soap. Too many times I will get questions about the technical aspects of soap making and different combinations of soap making oils. Once you get a recipe that works well and gets the traction you need with repeat customers stop adjusting your recipe and devote your extra time to marketing. The following recipe is slightly super-fatted and is an easy 3 oil recipe that easy to obtain ingredients. I first saw this recipe here. 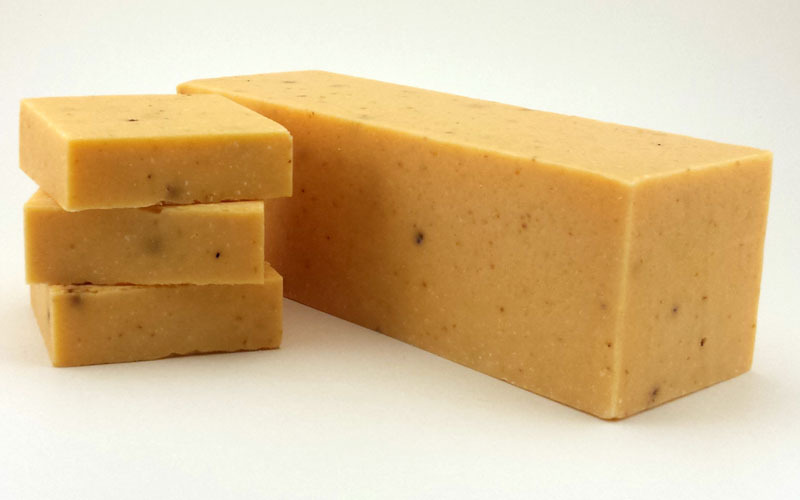 You can add 2 ounces of fragrance oil as a starting point for scented soap. If you cannot find palm oil locally substitute vegetable shortening. 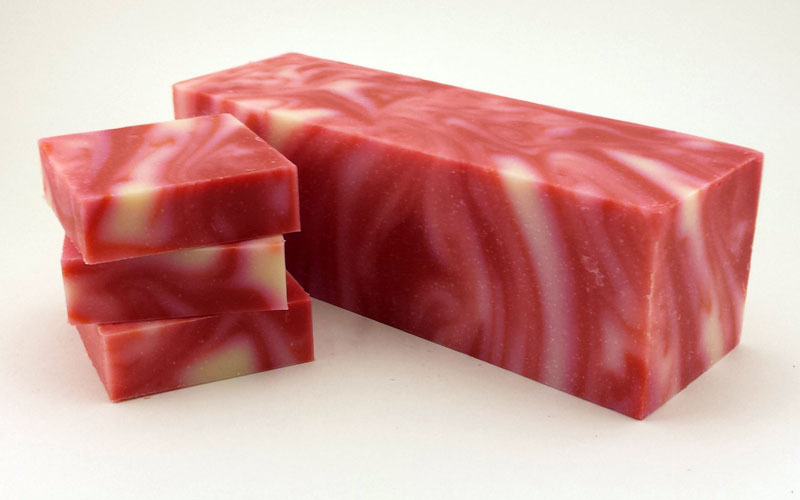 I guarantee you will get addicted to soap making once you try it. Focus on This Metric for Guaranteed Success. One of the most accomplished business leaders of last 100 years is Peter Drucker. And one of his most famous axioms is “that which is measured improves”. Most small business owners know this instinctively. This little tip can be the difference between a successful business and a losing proposition. The next question then becomes, what should I measure? This follow up question is the most important question that will super charge your results and allow you to pull away from the crowd. Because of time restraints the average entrepreneur cannot measure unlimited aspects of their business. Some criteria must be presented by which the decision is made about what are the best and most accurate and productive measurements to make. A very effective hack, is to start with a group of five to eight metrics to be measured only initially and find the one or two metrics that most effectively allow you to be focused, and measure the growth of your business. These metrics could include users, visitors, inquiries etc. Find your measured metric and find your success.